I suppose it's possible this may actually have been causing my initial problem as well although it still doesn't explain why it only happens after driving for awhile. 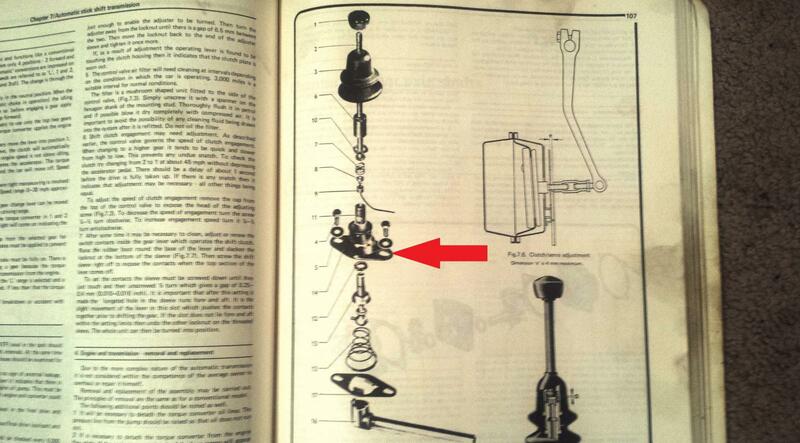 Hi Lee, technically it wasn't the reverse lockout plate (which is further down in the diagram above)-- it was the upper shift plate with the red arrow. Never even really paid attention to the fact that there is an upper plate, not even really sure what its purpose is-- I guess when bolted to the bottom lockput plate it forms the "gates" that the shifter slides through? Anyway I sure am glad it was as simple as re-tightening the bolts that hold it down. I took the car for a test spin yesterday and is working fine again. Great news ... I wonder how many times that has happened and the mechanic has said "I told You these cars are trouble...??"